Rwandan league champions APR FC has drawn Tunisian giants Club Africain while Peace Cup winners Mukura VS will face South Africa’s Free State Stars in the preliminary round of the 2018-19 Champions League and Confederations Cup respectively. There was a delay in releasing the fixture list for CAF’s two inter-club competitions after it was meant to be done last weekend, however the fixtures have now been revealed. The Confederation of African Football (CAF) released the result of the drawing of lots of Total CAF Champions League as well as Total CAF Confederation Cup for the transitional season 2018/2019 on Friday afternoon. APR Fc, 18-time Rwandan league winners face a tricky test against Tunisian side Club Africain, a well known club which they faced seven years ago. In 2011, both sides met in the first round of the CAF Champions League, playing a goalless draw in Kigali before the military side was thumped 4-0 in Tunis. In the upcoming qualifying round, APR Fc will start the continental quest at home hosting the Tunisian giants at Stade de Kigali between November 27-28 before heading to Tunis for the return leg which will be staged at Stade Olympique de Radès between December 4-5, 2018 respectively. The winner between APR FC and Club Africain will face the winner between Sudan’s Al Hilal and Zanzibar’s JKU Zanzibar in mid December. The winners of the 1/16th-finals of the CL 2018-2019 will be a total of 15 clubs that will join CAF Champions League Winner (Season 2018) in the group matches of the 2018-2019 transitional season. The winner of the title of the 2018 Champions League title will start their campaign from the group stage round while the runner-up will start their action from match number 69/70. Club that have been given a bye into the next round include Al Ahly (Egypt), AS Vita Club (DR Congo), Esperance (Tunisia), TP MAzembe (DR Congo) and Morocco’s Wydad AC). Peace Cup winners Mukura VS who will be making their debut in the CAF Confederations Cup takes on Free State Stars of South Africa, a side managed by former Rayon Sports Fc coach Luc Eymael and currently employing Amavubi goalie Olivier Kwizera. 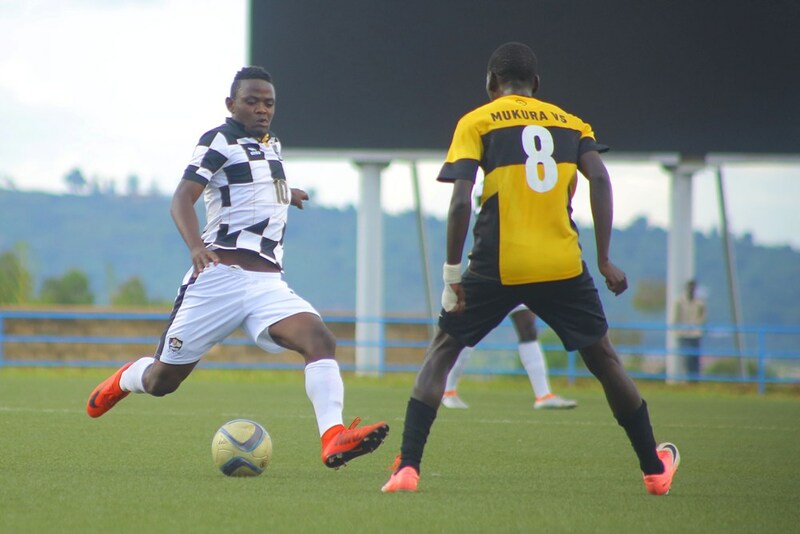 Mukura VS will play the first leg away to Free State Stars between November 27-28 before hosting the South African outfit at Stade Huye in Huye District between December 4-5, 2018 respectively. The winner will face Sudan’s Al Hilal Obeid in the round of 16 scheduled for mid December. Al Hilal Obeid was given a bye into the next round alongside Al Amasry (Egypt), Ahly Tripoli (Libya), Club Sportif Sfaxien (Tunisia), Etoile Sportive du Sahel (Tunisia, Uganda’s KCCA, Egypt’s Zamalek SC and Morocco’s Raja. Other Rwandan players who will be in action with their respective foreign African teams include Amavubi striker Kagere Meddie whose side SC Simba of Tanzania has drawn Mbabane Swallos of Eswathini formerly known as Swaziland while Jacques Tuyisenge who plays for Kenyan side Gor Mahia will take on Nyasa Bullets of Malawi.